Pattern comes with free Email support. Do not copy, share, resell, or forward this pattern to anyone. All rights to this pattern are owned by Ira Rott. 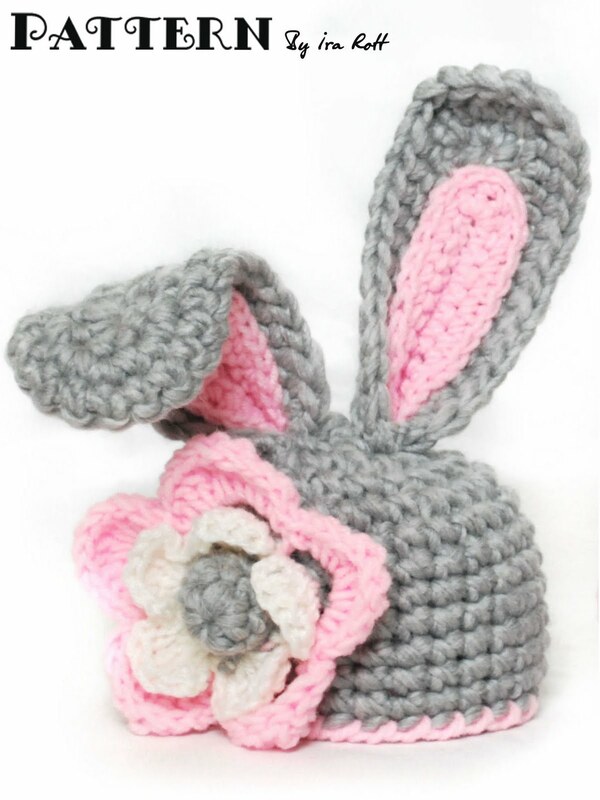 This entry was posted in Animal Hats, crafts, Crochet, Easter, fashion, Handmade, kids, pdf patterns, Shopping and tagged babies, crochet, easter, easter bunny, hat, kids, pdf Pattern, rabbit. Bookmark the permalink. Do you have a pattern for the bottoms?